What's the cheapest hotel booking site to book a hotel from in 2019? What’s the cheapest hotel booking site to book a hotel from in 2019? Not many know this, but not always the site with the best visible deals on their site is always the cheapest possible option, there’s lot to consider. Here’s my take on the cheapest, best site to book a hotel from in 2019. You’ve most probably heard of booking.com, one of the largest and most highly competitive hotel booking sites in the world. But, have you heard of their “Genius Program“..? The system is so “genius” that it’s motivating hotel businesses push down the cost of their rooms to rates cheaper than anywhere else. It’s both a powerful tool for hotel owners to increase their amount of bookings and also a strain to business, making competition though. Either way, being on the consumer side of things you just get to enjoy all the benefits which is mainly the cheap pricing, without worries. 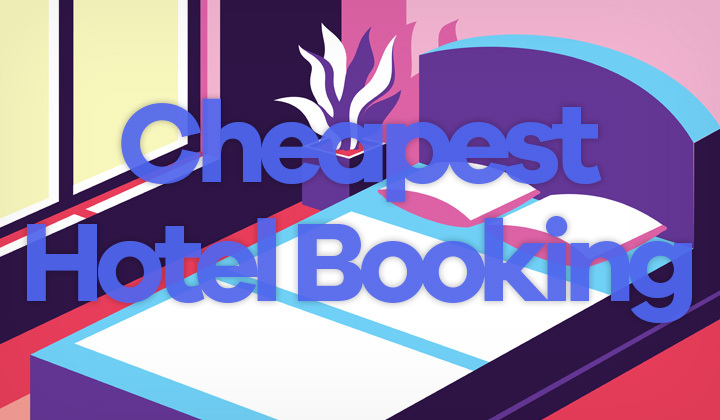 It’s a foolproof methods of booking hotels with the cheapest price, ever. Especially in combination with their “top deals” you can easily find cheap accommodation from any major touristic destination in the world. But can we trust Booking.com’s low pricing? First and foremost, it’s important to understand that Booking.com is a third-party seller of hotel rooms and a lot of the things that they might be blamed for are not actually their fault but that of the accommodation itself. Key is understanding in how they deal with problems which unfortunately exists now and then, especially when going with the cheapest hotels. I highly suggest reading their “code of good practices” which outlines the benefits and protection that you get my booking through them. Overall, dealing with a big third-party booking site such as Booking.com has it’s advantages and disadvantages. However, consider the low pricing and that they put a lot resources in consumer protection (not perfect, but one of the best). When it comes to the balancing scale, you not only have the cheapest prices but also the best cost-effectivness. My tip is to go with the lowest price but not with the cheapest hotel, and most of cases you will be just fine..! Any questions, or advice on getting cheapest hotel prices? Please, write your thoughts in the box below. A huge thanks for visiting my blog, David. This post contains affiliate links where appropriate which may convert to monetary benefit to the author of this blog. Thank you.